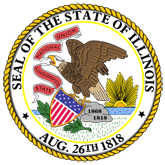 Adams County has been issued a tentative property assessment equalization factor of 1.0000, according to Constance Beard, Director of the Illinois Department of Revenue. 1. Adams County Tentative Multiplier Announced (16-0423-REV_Adams_County_.pdf).